The speed that injured tonuges can heal. Watching the Royal Wedding while doing a bit of crochet and tea drinking. A certain someone joined me for most of it. Guess who wouldn't let me share his mug! Being fined by my own daughter... for breathing! Since when did breathing (or 'brething') become a crime? I hope you had a wonderful weekend!! That fine cracked me up! Soooo funny! 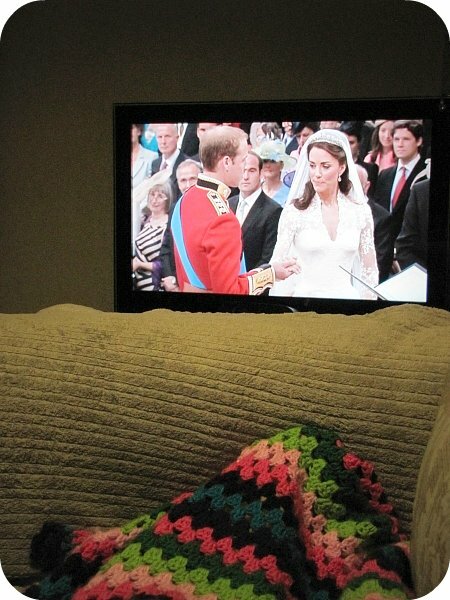 I enjoyed a bit of royal wedding action too. LOL love it!! I ALMOST bought a set of those union jack cups too! I wish I did!! We recorded the wedding as there was this Very Urgent basketball game that my man just Had To watch! I've been watching the five hours of it off and on all weekend - I'm just up to the bit where Kate has left the hotel... I'll get there eventually! I so enjoyed the royal wedding, watched it in my royal pj's with The honorary Mrs Bartle. Was brilliant. The fine is cute indeed. Lol. That fine is precious. Loved watching the wedding - loved that dress! That fine is hilarious!!! Glad the tongue is healing quickly! Yes, mouths and tongues are amazing healers thank goodness. You better watch yourself with those tickets. Have a great week. I think we were doing exactly the same thing on Friday night! I crocheted a whole set of coasters and watched a "real life princess" kiss her prince! LOVE! ha! love the fine, how dare you breathe mum!! 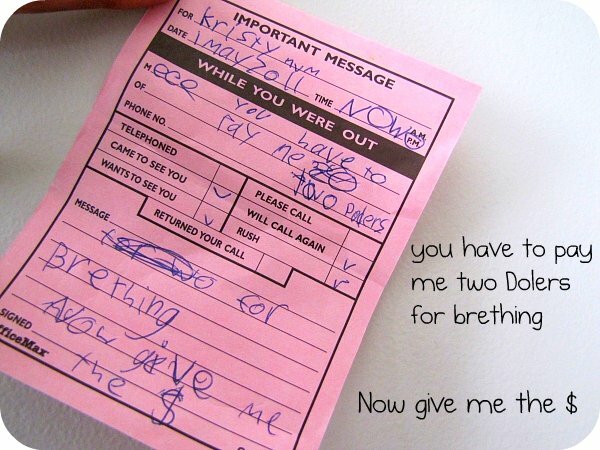 Did you cough up the $2.00 for brething? 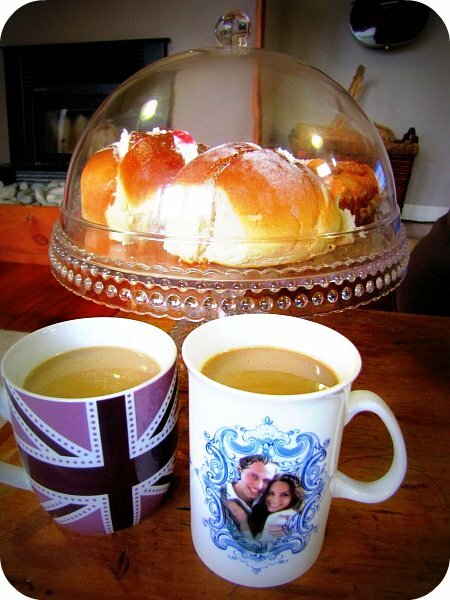 Watched the wedding to the end with my lovies, didn't have any memorabilia though just plan old mugs, coffee was great . Did you manage to stay awake for the whole wedding? I sat and drank tea from the same purple mug too!! Still managed to fall asleep and miss the kiss though - I'm getting to old for late nights clearly! Have a fab week. Funny! I'm forever telling Kev off for breathing when I'm trying to sleep. Maybe I should try fining him! Lol. have you pointed out what would happen if you didnt breath??? love when they start writitng in their "own" language. That fine is so cute, haha! now give me the money!!!! That is so cute - Give me the money!! My husband fell asleep during the wedding and snored his way through!